Following the announcement, shares of SpiceJet opened on a weak note at Rs 74, then fell further to touch an intra-day low of Rs 72.50, down 7.99 per cent over its previous close of Rs 78.80. 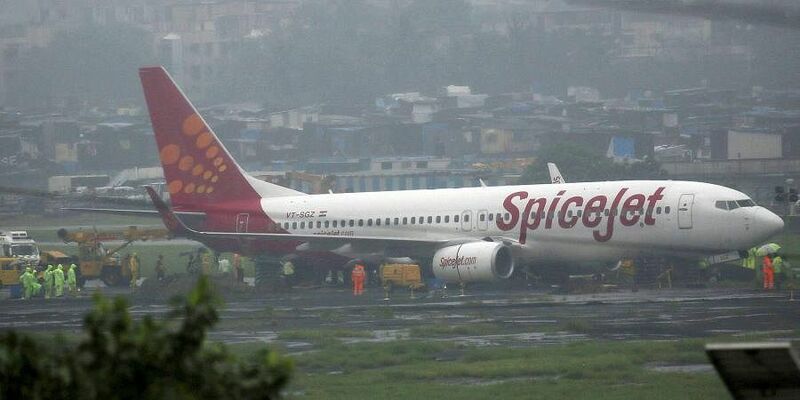 NEW DELHI: Shares of SpiceJet slumped 8 per cent in morning trade on BSE Wednesday after the country banned Boeing 737 Max 8 planes following the Ethiopian Airlines crash. On Tuesday night, the Directorate General of Civil Aviation (DGCA) announced its decision to "immediately" ground the Boeing 737 Max 8 aircraft. The decision came days after a 737 MAX 8 aircraft operated by the Ethiopian Airlines crashed near Addis Ababa killing 157 people, including four Indians. Shares of Jet Airways also witnessed similar trend. The stock opened at Rs 241.70, then lost further ground and fell to a low of Rs 236.70, down 3.64 per cent over its last closing price of Rs 245.65 on BSE. SpiceJet has around 12 such aircraft in its fleet. Jet Airways has five, which have been already grounded. In a statement Wednesday, SpiceJet said, "Consequent to the regulatory directive on the Boeing 737 MAX, SpiceJet has already initiated grounding of its MAX fleet. "In order to cause least inconvenience to its passengers and also bring these aircraft to its maintenance base we expect to complete this exercise on or before 4 pm today (Wednesday)".